Curious about what’s going on at the corner of Mills and Virginia? Everybody is, right? Here’s your chance to find out and ask questions! 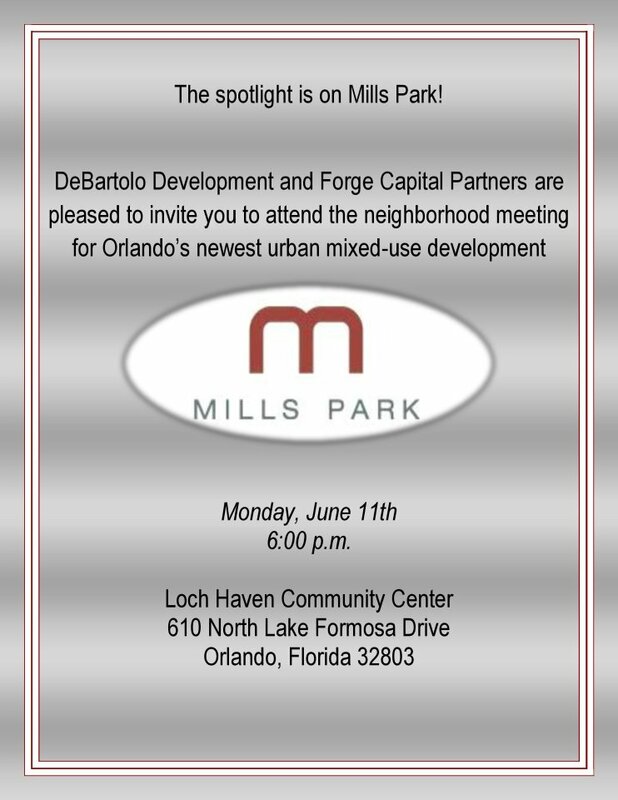 DeBartolo Development and Forge Capital Partners are pleased to invite you to attend the neighborhood development meeting for Orlando’s newest urban mixed-use development Mills Park. A walking and biking trail proposed years ago may finally become a reality with the recent purchase of a piece of the historic Dinky Line railway that once linked Orlando and Winter Park. Click here to get a listing of all City projects. This link is also included in the ‘Links’ section below.